Founded in 1898, Northeastern is a distinguished private research university in Boston, Massachusetts. To provide shelter during the winter months, Northeastern’ s underground tunnel system is a convenient way of traveling between the campus library, student center, and numerous buildings. Recently, the university finished redesigning the tunnel system, installing new flooring, improved lighting, colorful signage, as well as more than 1,200 student lockers. 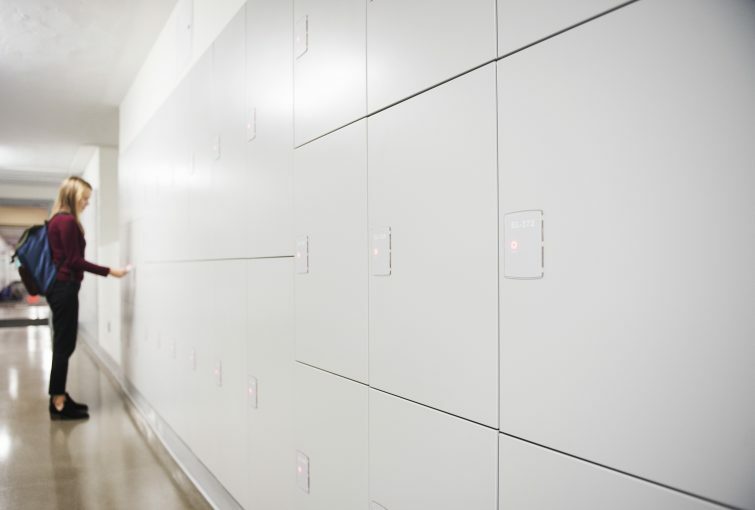 To securely manage such a large locker installation, the university opted for a smart locking system from GANTNER. All 1,286 of the tunnel’s new metal lockers are larger —now 3 feet by 2 feet—and are securely managed by GANTNER’s networked locking system. 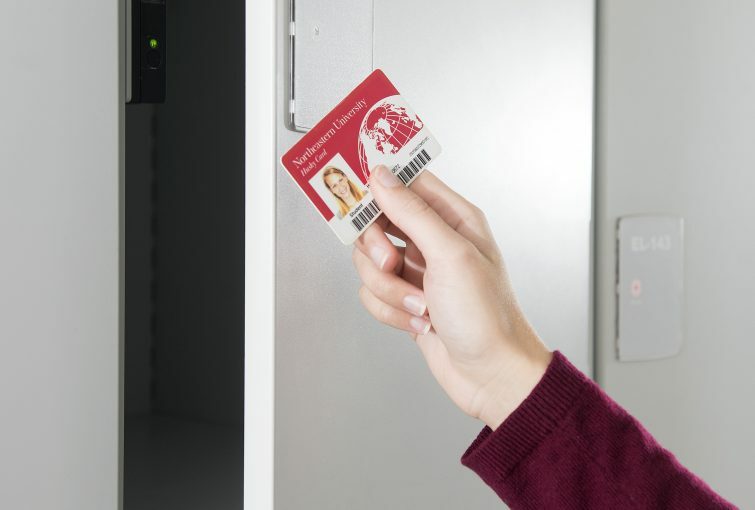 Lockers are conveniently operated with pre-existing Husky Student Id cards, containing an embedded chip that communicates via contactless technology to the GANTNER system. Via the myNEU portal, students can view which lockers are available and easily rent their new personal locker. 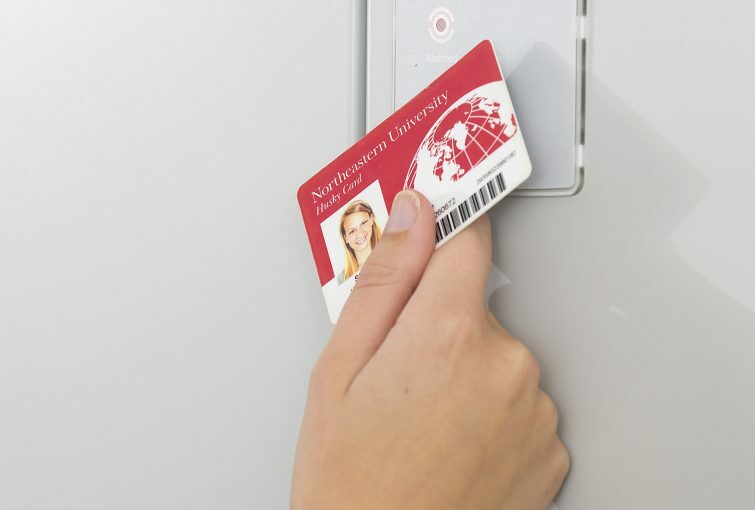 Once reserved, the locker number and Unique Identification Number of the student’s card are linked and stored in a localized database, ensuring that only the card with the assigned locker number can open the corresponding locker. The system is easy and intuitive to use thanks to acoustic feedback, LED lighting, and clear labeling – each locker has both a letter and number, denoting its exact location in the underground tunnel. For example, one locker is labeled “RI 200”, RI standing for Richards Hall, 200 standing for the locker number. University security is of great importance and the GANTNER locking system improves the safety of belongings thanks to a customizable, networked alarm delivered to maintenance and security staff. Additional features include detailed locker usage reports, remote locker control, and occupancy monitoring.